Velocity Cellars Malbec Rose 2007 commented on by emking. Pretty sure we bought this to drink with Ms. Courtney 🙂 by emking. I’ve enjoyed it too…read about it first on this board, I think. 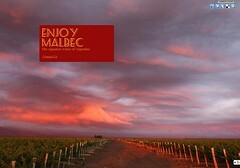 You might also like the Pascual Toso Malbec, pretty nice value. Why Wine Can Actually Be Good For You!